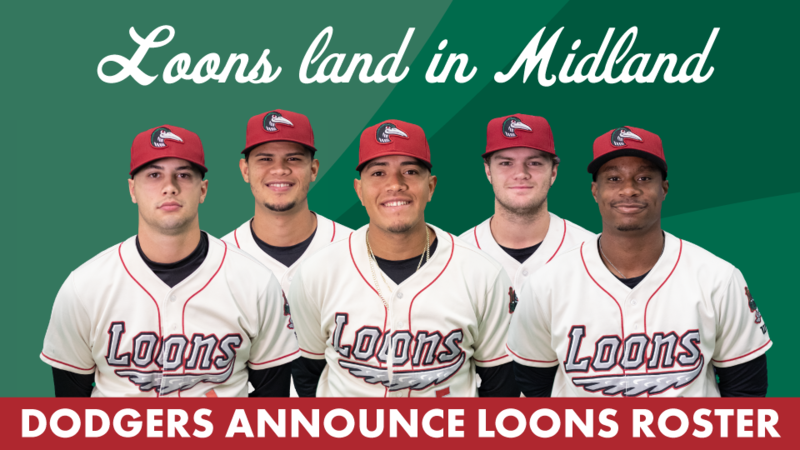 MIDLAND, Mich. - In conjunction with the Los Angeles Dodgers, the Great Lakes Loons are pleased to announce the team's preliminary roster for the 2019 season. The Opening Day roster will be finalized prior to Thursday's game against the Lake County Captains in Eastlake, Ohio. + Right-handed pitcher Nathan Witt (Clarkston, Michigan State) and outfielder Daniel Robinson (Detroit, Central Michigan) are both Michigan natives and attended in-state colleges. + Robinson, the former Chippewa, hit .332/.423/.463 with 36 RBI in 57 games for Rookie-level Ogden last year. + James Outman (11), Dillon Paulson (10), Niko Hulsizer (9) led Rookie-level Ogden in home runs last season; Outman's 11 home runs ranked fourth in the Pioneer League; Paulson's 61 RBI led the Pioneer League. + Hulsizer, who attend Morehead State, was the 2017 College Home Run Derby Champion; finished second in the NCAA in 2017 with 27 home runs; hit 44 career home runs in college. 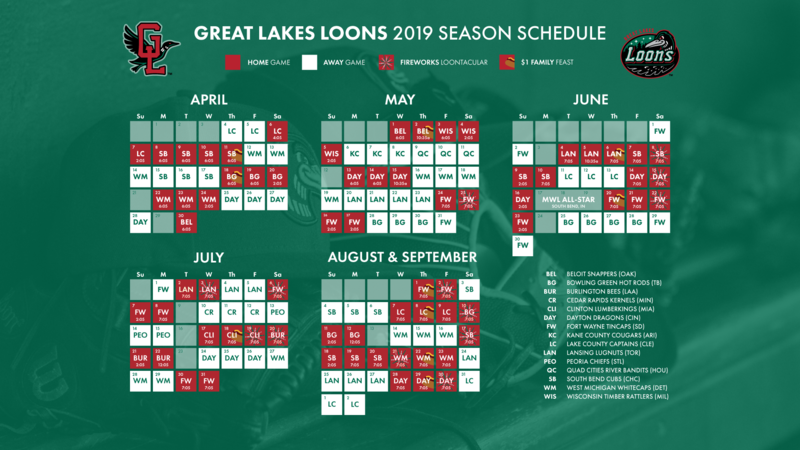 + Jacob Amaya, who played 27 games for the Loons in 2018, hit .311 for the season in 59 games between Ogden and Great Lakes. + Josiah Gray joined the Dodgers on December 10 as one of three Cincinnati Reds players involved in the Yasiel Puig traded; was previously the No. 13 prospect in the Red system according to Baseball America. John Shoemaker returns as Loons manager for the 2019 season. "Shoe" guided the Loons through the 2011-12 seasons, as well as in 2018, and is entering his 43rd season in the Dodgers organization and 26th season as a minor league manager. Drafted by the Dodgers in the 35th round of the 1977 draft, the 62-year-old has been with the club ever since; as a player (1977-80), manager, coach and coordinator. Shoemaker was appointed the Dodgers' "Captain" of Player Development in 2015 and currently sits on 199 career wins as Loons manager. One-time Loons reliever Luis Meza has made the transition to coaching with the Dodgers and will serve as the team's pitching coach for the 2019 season. Meza pitched for the Loons in 2013 and spent the previous three years as a pitching coach in the Dodgers summer leagues. Justin Viele joins the Loons for the first time in his third year as a coach in the Dodgers organization. Viele previously served as the hitting coach with High-A Rancho Cucamonga (18') and Rookie-level Ogden ('17). The 28-year-old was drafted by the Baltimore Orioles in 2013 and had a two-year playing career.